The human body is controlled by electrical impulses in, for example, the brain, the heart and nervous system. 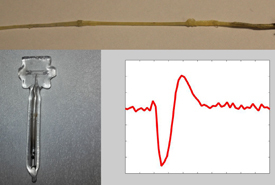 These electrical signals create tiny magnetic fields, which doctors could use to diagnose various diseases, for example diseases of the brain or heart problems in young foetuses. 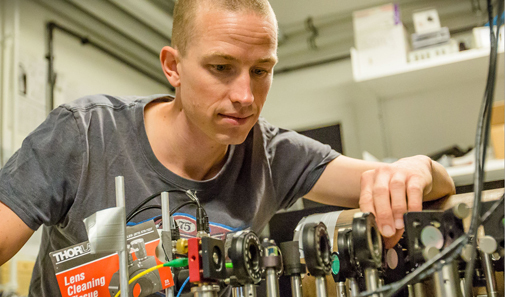 Researchers from the Niels Bohr Institute have now succeeded in developing a method for extremely precise measurements of such ultra-small magnetic fields with an optical magnetic field sensor. The results are published in the scientific journal, Scientific Reports. 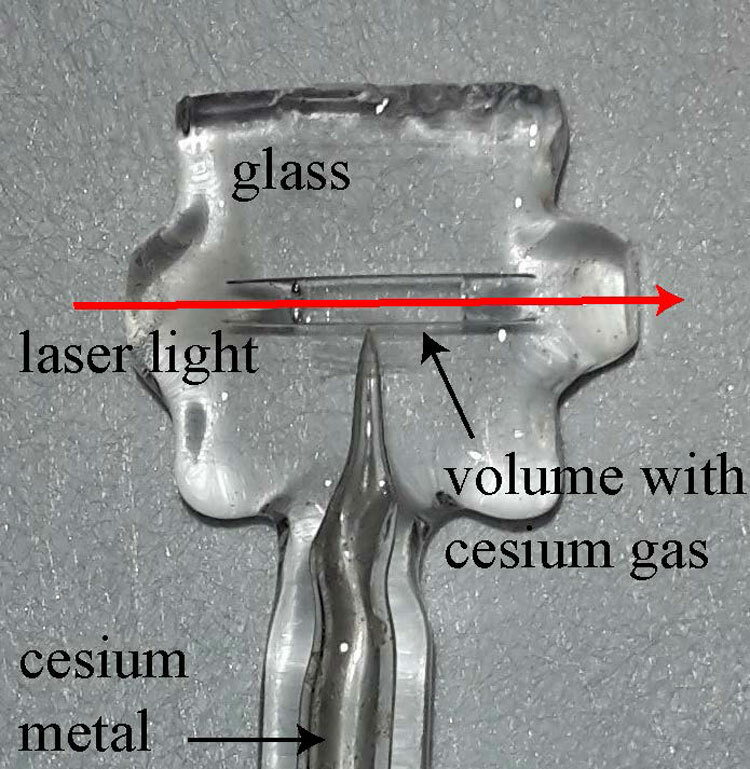 “The optical magnetic field sensor is based on a gas of caesium atoms in a small glass container. 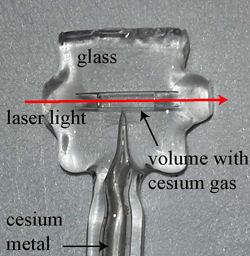 Each caesium atom is equivalent to a small bar magnet, which is affected by external magnetic fields. The atoms and thus the magnetic field are picked up using laser light. 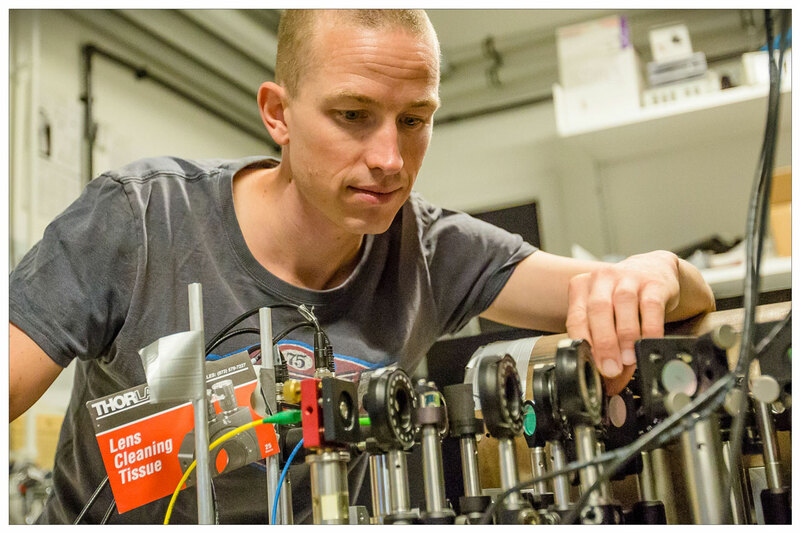 The method is based on quantum optics and atomic physics and can be used to measure extremely small magnetic fields,” explains Kasper Jensen, assistant professor in the Center for Quantum Optics, Quantop at the Niels Bohr Institute at the University of Copenhagen. 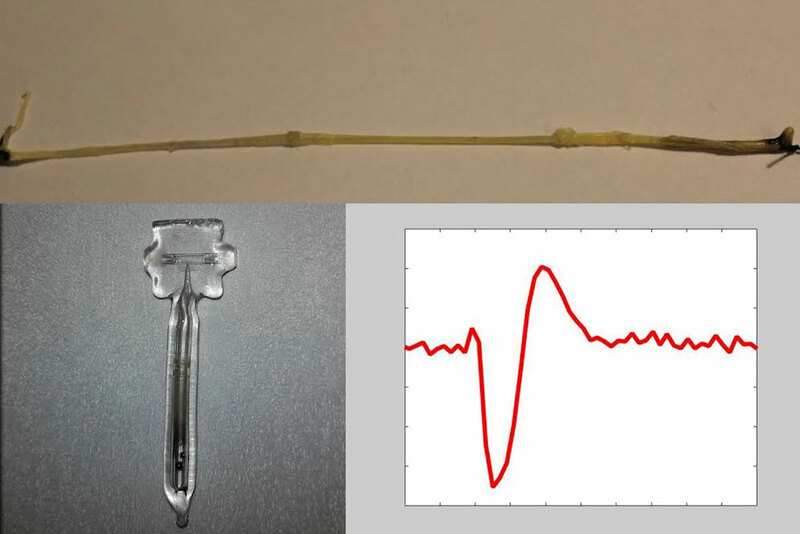 The advantage of the optical sensor is precisely that the magnetic fields and electrical impulses can be safely and easily picked up at a distance of a few millimetres or centimetres – without the sensor actually coming into contact with the body. “We expect that the sensor will be used for special medical examinations, where it is important for the sensor not to be directly in contact with the body, for example, for diagnosing heart problems in tiny foetuses. Here the magnetic field sensor is placed on the mother’s abdomen and you can easily and safely detect the heartbeat of the foetus and you will be able to diagnose any heart problems at an early stage so that the foetus can get the right treatment quickly,” explains Eugene Polzik, professor and head of Quantop at the Niels Bohr Institute. Eugene Polzik explains that you can calculate the speed at which the nerve impulses are moving from the measured signals. There are a large number of diseases where the nerves are damaged, for example, multiple scleroses, where the nerve impulses move more slowly than in people who are not ill. Other issues could, for example, be a number of eye diseases where you will be able to make the diagnosis without having to put electrodes on the eye or Alzheimer’s, where you will be able to measure the electrical signals in specific nerve pathways.